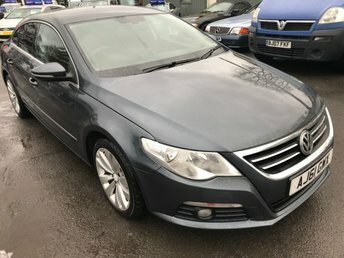 APPROVED CARTS ARE PLEASED TO OFFER THIS VOLKSWAGEN PASSAT 2.0 HIGHLINE TDI 4d 138 BHP IN GREAT CONDITION WITH HIGH MILES THAT IS IN AMAZING CONDITION FOR ITS MILEAGE WITH LOTS OF SERVICE HISTORY AND AN MOT UNTIL APRIL 2019 BUT DUE TO ITS MILEAGE ONLY IS BEING OFFERED AS A TRADE CLEARANCE CAR WITH AN MOT. 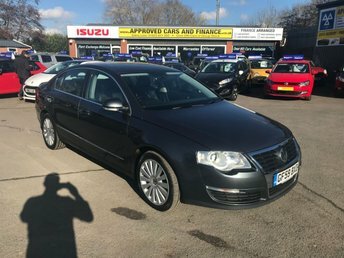 If you're searching for a family vehicle that ticks all the boxes when it comes to space, style and practicality, be sure to take a close look at the range of used Volkswagen Passat models for sale in East Peckham today. Here at Approved Cars Ltd (Approved Cars Izusu) we stock a superb range of quality used vehicles, each of which is put through a full inspection process before being released onto the forecourt. Take the opportunity to view our complete range of used Volkswagen cars here on the website, before contacting a member of the team to discuss your requirements in detail.